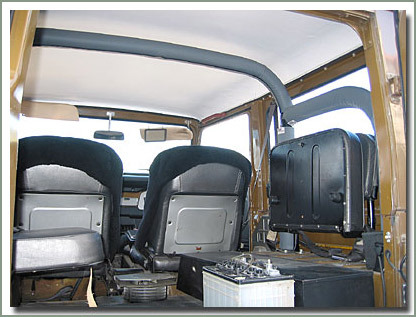 The SOR FJ40 Sportbar is designed with the ability to be UPS shippable. 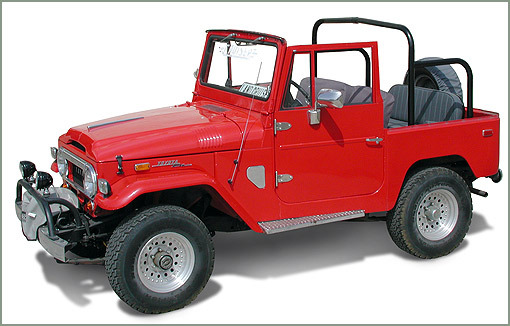 It comes in four pre-cut pieces ready to be welded into your FJ40. Hardware is included. Shipping weight 55 lbs. Welding, drilling and tube trimming required. Remember to test fit cage components prior to final installation. 1974-1984 does not use stock mounting holes. Made from 2 inch diameter .120 wall tubing and come finished in black powder coat for corrosion protection. 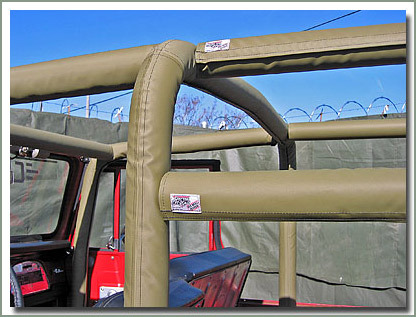 #244-80 SOR Sportbar The SOR FJ40 Sportbar is designed with the ability to be UPS shippable. 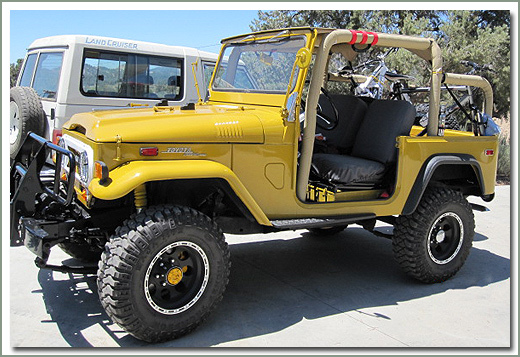 It comes in four pre-cut pieces ready to be welded into your FJ40. Hardware is included. Shipping weight 55 lbs. Welding, drilling and tube trimming required. 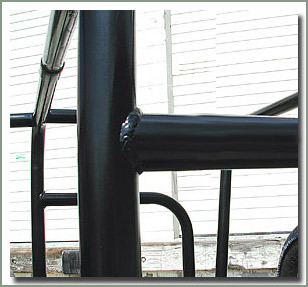 Roll bar parts come black powder coated for corrosion protection. Powder coat must be removed from areas you plan to weld. Remember to test fit cage components prior to final installation. 1974-1984 does not use stock mounting holes. Made from 2 inch diameter .120 wall tubing. #245-80 SOR Front Cage Kit The SOR Front Cage Kit is designed with the ability to be UPS shippable. 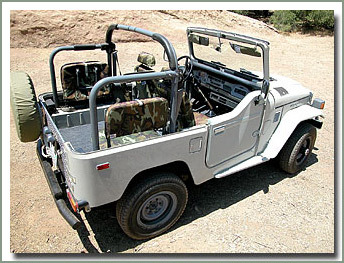 It comes in five pre-cut pieces ready to be welded into your FJ40. All hardware is included. Front Cage Kit comes black powder coated for corrosion protection. Welding, drilling and tube trimming is required. Remember to test fit cage components prior to final installation. Shipping weight is 55 lbs. Made from 2 inch diameter .120 wall tubing. 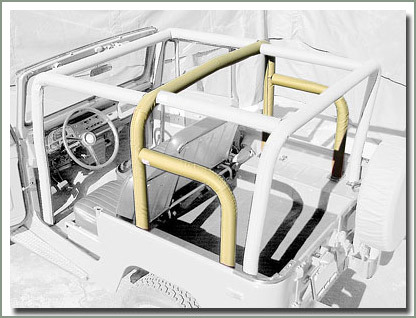 #245-86 SOR Rear Family Cage Kit Specter now offers a kit to extend the full height roll bar to the rear of your 40 Series. 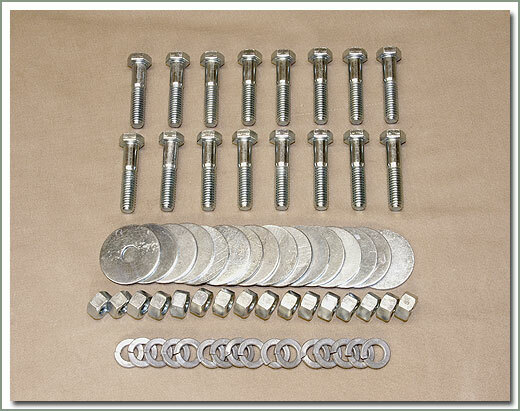 This UPS shippable kit contains four pre-cut pieces ready to be welded together. 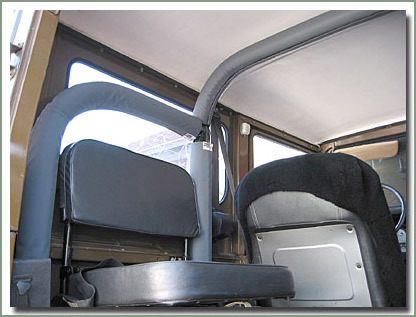 Rear hoop is specially designed to fit inside softops. Comes with two spreader bars, mounting plates and mounting hardware. Requires drilling and welding to install. Comes black powder coated for corrosion protection. Powder coat must be removed from areas you plan to weld. Remember to test fit cage components prior to final installation. Shipping weight is 55 lbs. Made from 2 inch diameter .120 wall tubing. #245-81 SOR Front Cage Pad Kit & #245-87 SOR Rear Cage Pad Kit Specter makes padding kits for SOR's Cage Kit! This is truly the best fitting padding kit on the market today. The pads fit like a glove, they are tailored for a nice fit over the curves of your SOR bars. Kits come complete with enough padding and a full set of pad covers to cover the entire bar. Made of durable Tuff Duck vinyl material. 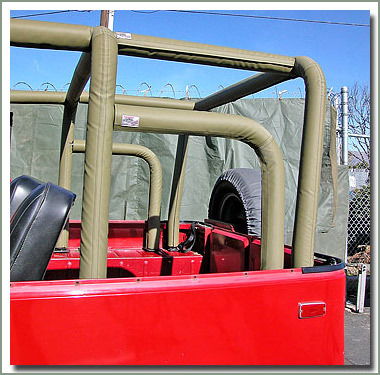 These kits are designed to fit a roll bar and cage kit installed in such a fashion as to fit under the original hardtop. Available in Tuff Duck material in Black vinyl (BL), Gray vinyl (GY), Tan vinyl (TN), and Olive Drab vinyl (OD). Fits 40 Series 1958-1984(1975-1984 does NOT use stock mounting holes) - 4 pre-cut pieces - Welding, drilling, and tube trimming required - Comes with installation hardware - Remember to test fit cage components prior to final installation - UPSable - Shipping weight = 55 lbs. 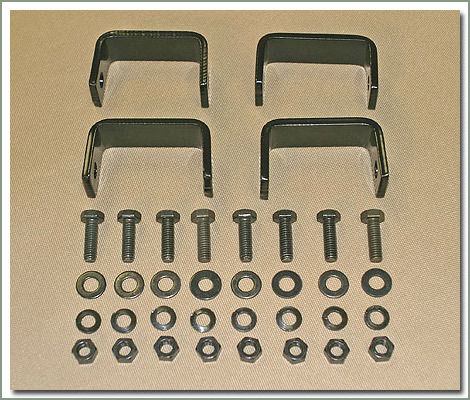 (approximate) If you have factory rear jump seats, please see seat bracket kits #246-10 for installation, order separately if needed. Fits #244-80 40 Series Sports Bar - Replacement hardware. 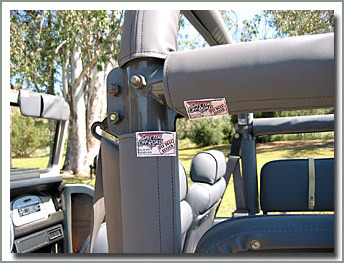 This seat bracket kit was specially designed to space out the rear jump seats when you install Sportbar #244-80. Provides perfect fit. Kit contains 4 brackets engineered to space your rear seats properly. Fits 1958-1973 40 Series - Does both rear jump seats. Specter padding kits for SOR's Sportbar! This is truly the best fitting padding kit on the market today. 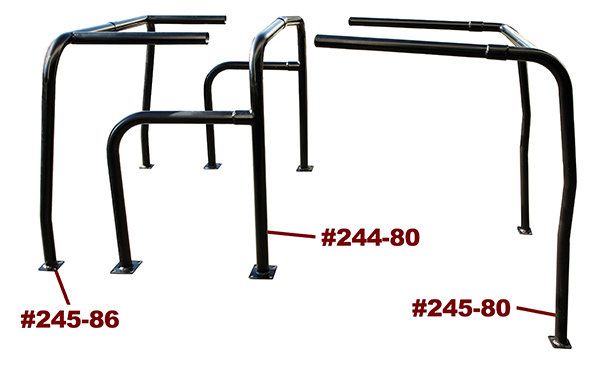 The pads fit like a glove, they are tailored for a nice fit over the curves of your SOR bars. Kits come complete with enough padding and a full set of pad covers to cover the entire bar. Made of durable Tuff Duck vinyl material. 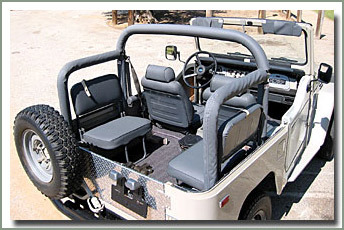 These kits are designed to fit a roll bar and cage kit installed in such a fashion as to fit under the original hardtop. 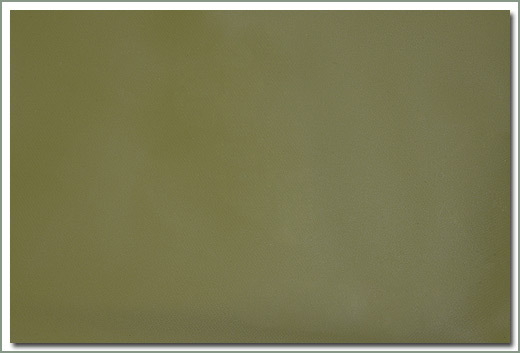 Available in Tuff Duck material in Black vinyl (BL), Gray vinyl (GY), Tan vinyl (TN), and Olive Drab vinyl (OD). 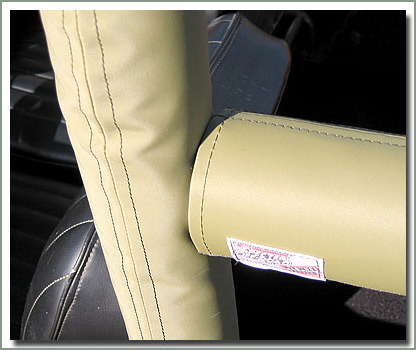 Specter has a full line of new Tuff Duck accessories to out fit your Cruiser, for more info see page 309 for Tuff Duck Slip Covers, page 272 for SummerTops®, page 276 for Tuff Duck grab bar pads and shift lever pads, page 254 for Tuff Duck Tire covers. TOYOTA has discontinued new Stock Tube Bars. 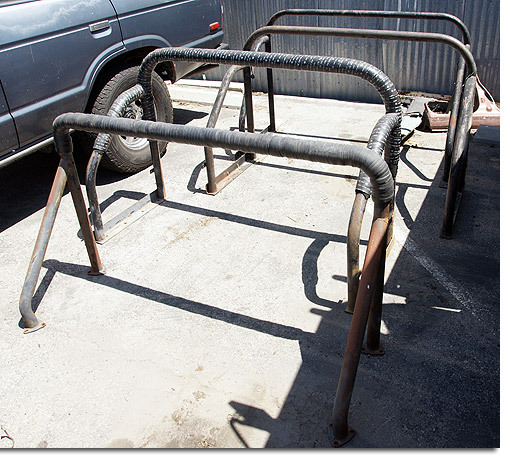 Used Stock Tube Bars are subject to availability, please call sales staff for information on quantity on hand. Shipping weight=55 lbs. 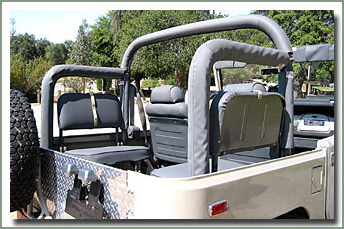 This is the best roll bar padding kit you've ever seen on a Land Cruiser! 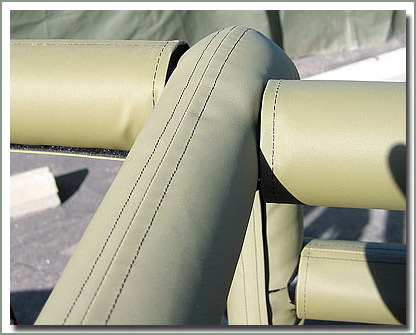 Protects your body and your equipment with our cushioned roll bar padding kit. 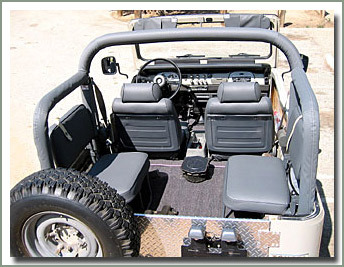 Works great, looks great with the hardtop on or off. 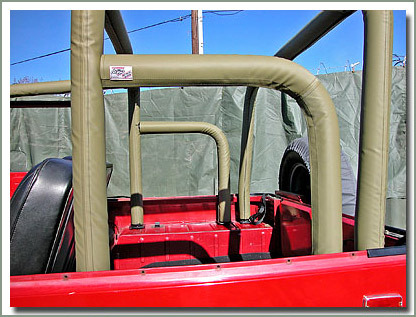 Specter's new roll bar padding kit makes it easy to cover your roll bar with padding and a full set of Tuff Duck pad covers. 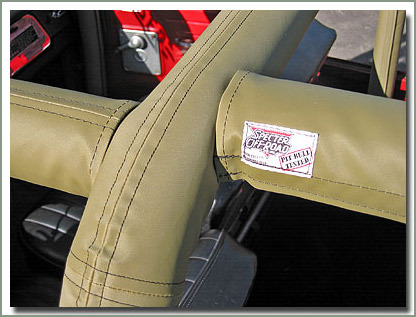 This padding kit fits like a glove, tailored for a nice fit over the curves of your factory OEM roll bar. Kit comes complete with enough padding and a full set of custom fit pad covers. Does not fit with factory roll bar pads. Safety sense: Remember, no tube bar device of any kind has ever, or will ever be a guarantee against injury or death & should certainly not be considered the sole means of protection in case of roll over. Remember, there are limitations to the severity of impact that any bar or cage can withstand, & they are not a substitute for a safe & careful driver. Therefore all tube bars are sold for decorative purpose only.